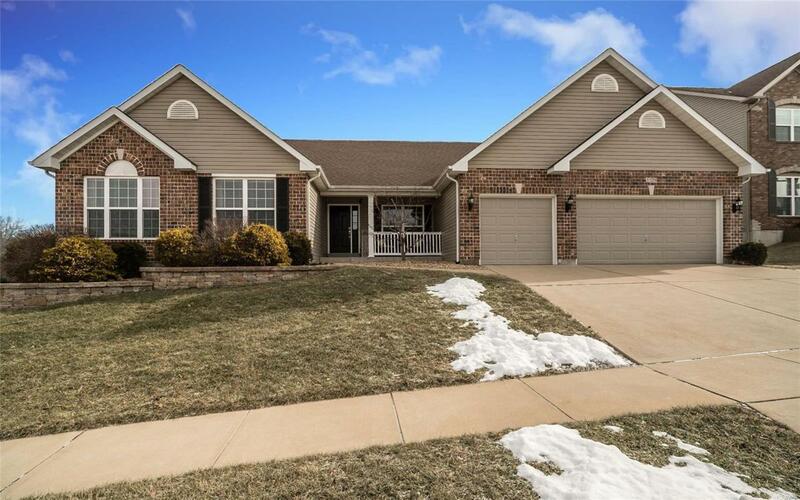 This amazing ranch in the Rockwood School district is now available to call your own. 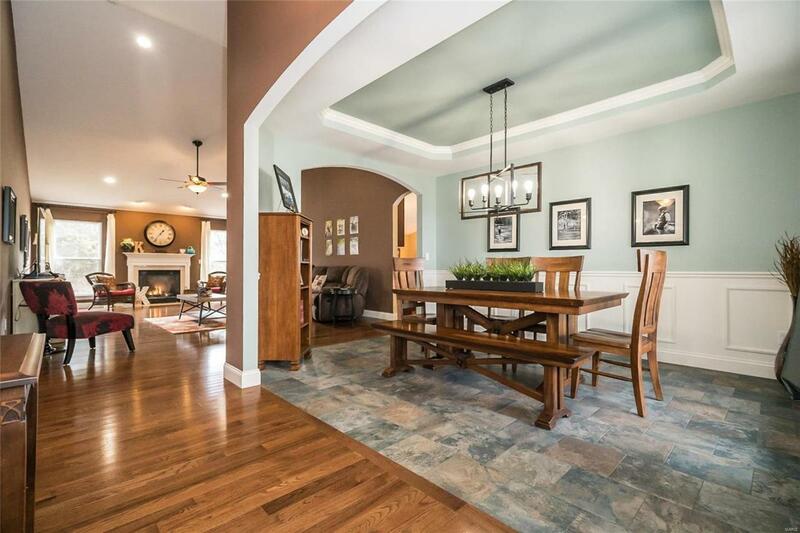 Once you enter the foyer you will be amazed by the beautiful hardwood flooring, the dramatic vaulted ceilings with arched doorways in the Great Room. 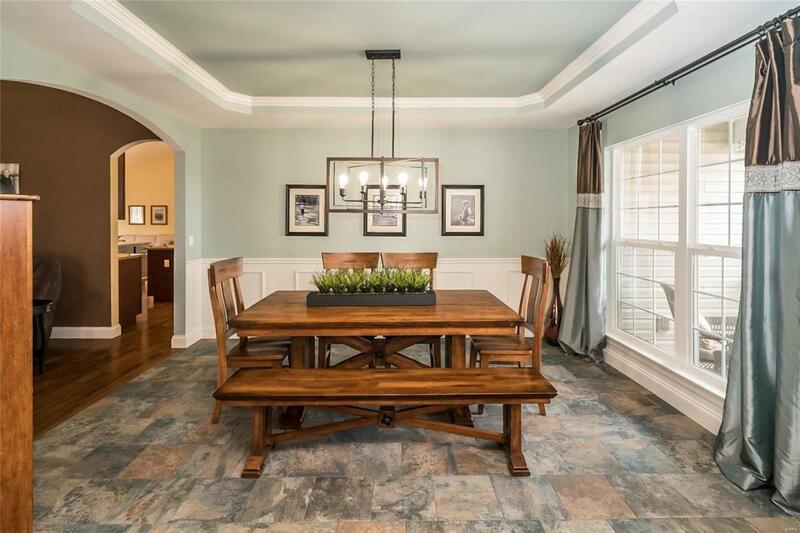 The slate dining room floor may just seal the deal. Entertaining is a must in this outstanding home. The sprawling kitchen complete with walk in pantry is perfect for entertaining guests with it's long granite counter tops and center island. Or drink your morning coffee in the hearth room and breakfast room surrounded by large windows to let in the warm natural light. When you see the finished lower level, cozy up to the bar area, notice plenty of room for the pool table, work out area, media room and yes, another bedroom with an egress window. This home has it all and was built on this builders premium lot plus it comes with an UPGRADED ENERGY EFFICIENCY PACKAGE! 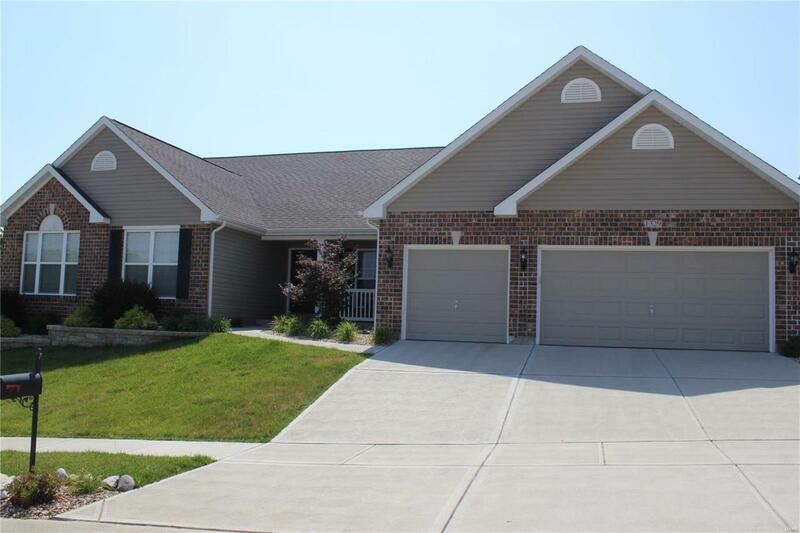 Come see this amazing home today.